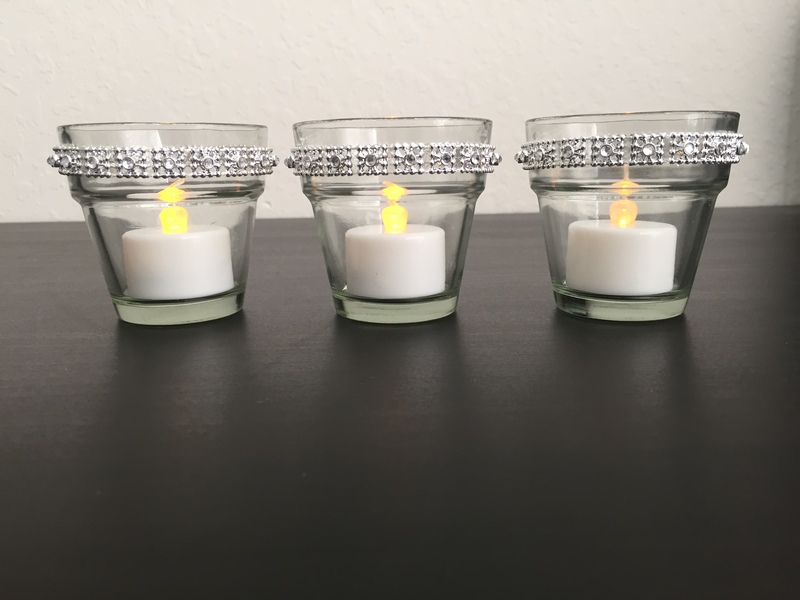 Glass Votive Candle Holder with Silver Rhinestone band. Approx. 2.5 inch by 2.5 inches. Have 10 candle holders for $1.50 each. Great for use with tealight or votive candles. Great condition, only used once for my wedding.